Boldly go where no one has gone before with the Star Trek The Next Generation Gold Security Bathrobe! 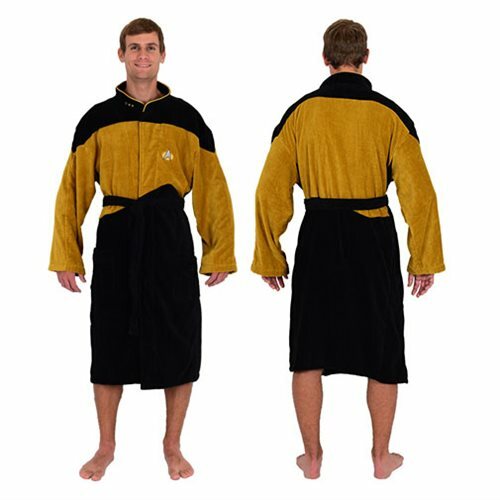 This robe is perfect for any fan of the Star Trek TNG series. And don't worry, emulation is the highest form of flattery, so the crew of the U.S.S. Enterprise won't get upset at you for wearing their robe. The robe measures approximately 49-inches long, with 34-inch sleeves, and a waist up to 50-inches. One size fits most. Ages 14 and up.